The Curtis Coffee Filter GEM-6 allows for correct brewing of coffee into your Curtis coffee brewer – why buy a quality commercial brewer and then cut corners with a cheap paper filter? Buy the best. Curtis Coffee Filter GEM-6 is designed to work with Wilbur Curtis brewers to extract the most flavor from coffee grounds without bitterness and without sediment. The fluted design prevents collapse, and the consistent thickness allows for proper steep time. 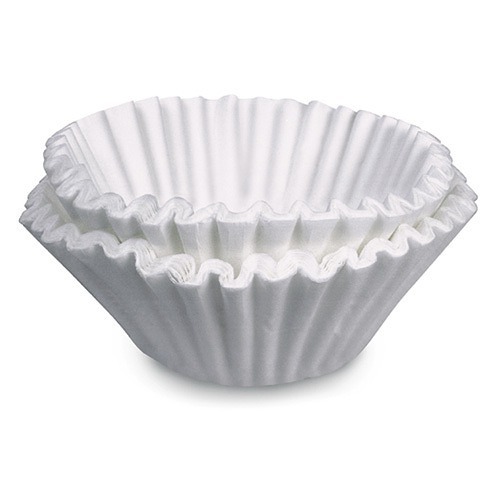 The Curtis Coffee Filter GEM-6 is designed to be used with Curtis coffee brewers that use brew cones WC-3357, WC-3338, WC-3301, WC-3311, WC-3417. The number should be found on the brew cone itself. GEM120A, GEM12D, D500GT, D1000GT, TP2T, TP2S, GEMTS, GEMSS, G4GEMS, G4GEMT, TP1T, and TP1S. If there are questions, it is best to call Wilbur Curtis at 800-421-6150 to find out which paper filter is the best for your brewer. Be sure to get the “WC” number off of the brew cone before calling.